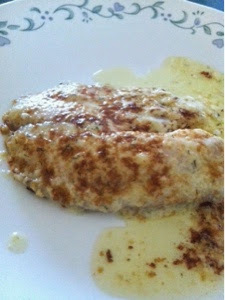 I found this tilapia recipe on Pinterest, This recipe can be found at Spend With Pennies. I had to cook for me tonight so I cut down the recipe for just me. I have to say that this recipe was delicious. It was light and flaky, the Parmesan, lemon, and dill flavors worked really well together. I can see why this is the recipe is the most pinned. I am going to pin it for future reference.